Any shelf design has to rely on one fundamental--it's got to attach to something. In almost every case, the shelves will be attached to a backing wall, and it will be necessary to attach the shelves or the brackets for the shelves to the wall. Screws and anchors of varying sorts are used for this job, but before you simply start screwing shelves and brackets to the wall, it's important to choose the correct hardware. The key to selecting the correct type of screws for your shelves is understanding what type of wall they'll be screwed into. To summarize succinctly, there are two basic types of walls--hollow walls and solid walls. Hollow walls most often are made of wall board (dry wall), nailed or screwed to a series of studs that make up the framework of the wall. When installing screws into a hollow wall, it's important to use a class of screws and attachments known generically as hollow wall anchors. There are many variations of hollow wall anchors, but in each case an anchor of some type is inserted into the wall, providing a secure point for the screw to attach onto. Common examples of hollow wall anchors are toggle bolts and expansion anchors. Solid walls may be wooden, as in a plank wall, or a solid material like concrete or cinderblock. In the case of a wooden wall, a wood screw is perfectly appropriate and durable, but concrete and cinderblock walls require their own specialized wall anchors. 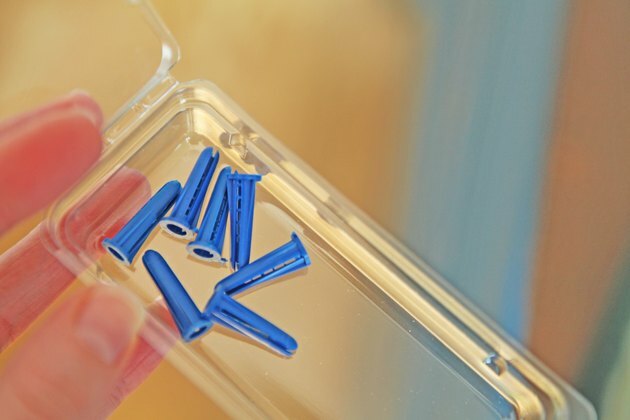 These differ in type and installation method from those used in hollow wall applications, so be sure to use anchors rated for the type of surface you'll be installing the screws into. Once you've determined the type of wall you'll be installing your shelves onto, you'll need to select the right screws for the job. Screws and wall anchors often have weight ratings, which can be useful as a guide. For example, a set of shelves that will be holding books will have a much greater load than shelves mounted on your wall that are holding a collection of stuffed animals. 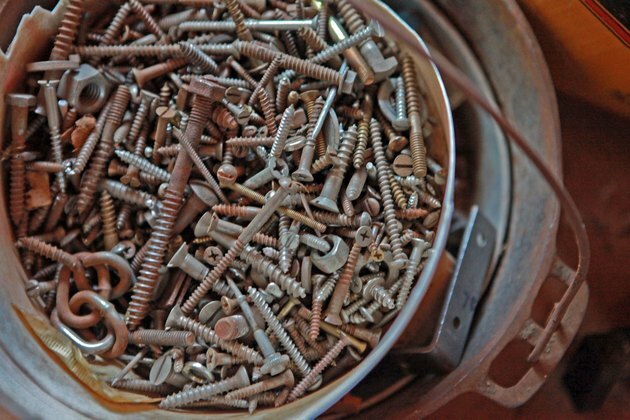 Choose screws or anchors that carry at least as great a load, or more, than you'll putting on the shelves. It's always a good idea to over-engineer the shelves and their fittings the first time through rather than have to go back and redo the work. For hollow walls, such as wall board, an excellent type of screw/wall anchor combination is the E-Z Anchor line of self-tapping anchors and screws (see Resources below). They install easily and come in a variety of configurations designed for different applications and loads. In solid concrete or cinderblock, lead anchors are an excellent choice. 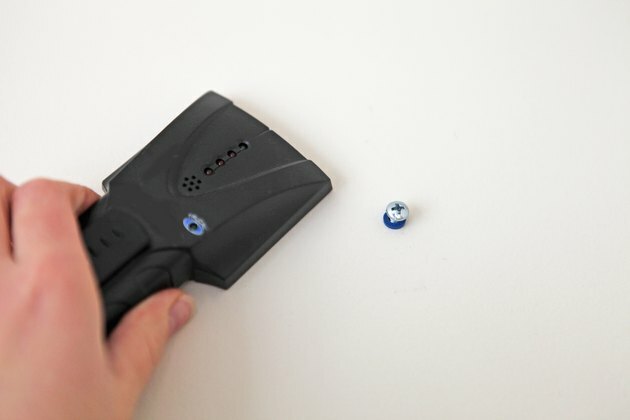 These are inserted into holes drilled into the wall. When a screw goes into the anchor, the lead expands and creates a tight bond with the surrounding wall. Based in Virginia, Nichole Liandi has been a freelance writer since 2005. Her articles have appeared on various print and online publications. Liandi has traveled extensively in Europe and East Asia and incorporates her experiences into her articles. She holds a Bachelor of Arts in history from West Virginia University.